architectural concepts + design + communication . 1998-2000 . melbourne . australia . for lab architecture : peter davidson + donald bates . architectural concepts + design + communication . 1998-2000 . melbourne . australia . for lab architecture : peter davidson + donald bates . 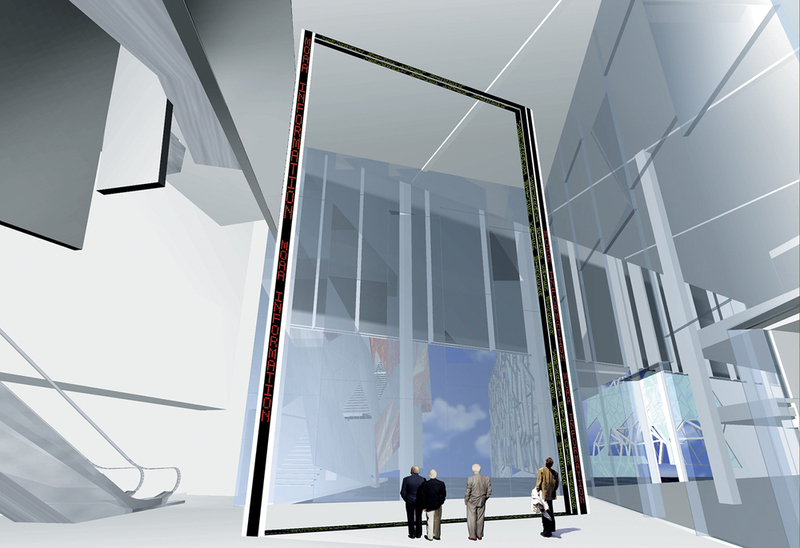 proposal for the glass wall of the atrium using dichroic glass _ which changes colour as the light changes . thereby creating a different colouration | patterning at every moment of every day . architectural concepts + design + communication . 1998-2000 . melbourne . australia . for lab architecture : peter davidson + donald bates . bespoke typeface for the multi-lingual l.e.d., interactive information channels . architectural concepts + design + communication . 1998-2000 . melbourne . australia . for lab architecture : peter davidson + donald bates . proposed scheme for the multi-lingual l.e.d., interactive information channels _ with dylan brady .